As we look into the law of God concerning his feasts, we will notice the instructions of the Lord begins with the Sabbath, Sabbath meaning rest. This day was set aside by God after the creation of the world, which took six days. On the seventh day God rested because on the sixth day, the works of creation was complete. Opening with this statement, God points out the importance of the Sabbath, again pointing to its meaning, which I will explain as we go along. This also has created a lot of debate among Christians, but once we understand the significance of the day, we will all rest in its hope. The feasts are to be proclaimed in their seasons, the clue to their importance, because in each season God has planned to fulfill his word, and to bring completeness to his work. The Passover was the first feasts to be declared representing salvation, it was also the mark of the first day of the year. As commanded by God, these feasts are to be a memorial, the Passover is a look back at what God had done for us in Egypt. But although it seems as if it was an accomplish mission, it was not complete, for the first mission of the Passover was to deliver the flesh creating a symbol of its purpose. The second mission; however, was to give it power delivering the soul. So what was the significance of the Passover, and why are the feasts to be proclaimed in their seasons. A look at the mission of Jesus Christ will reveal the works and plans of God that has so far unfolded, along with those yet to be accomplished. The instruction of God to the nation concerning the Passover was that the nation was to sacrifice the Passover lamb in the evening, on the fourteenth of the first month. In this message we find two things, one the calendar of the Lord marking the first day of the year, and secondly the symbol marking and pointing to the Messiah. Leviticus 23:4-5 These are the feasts of the LORD, even holy convocations, which ye shall proclaim in their seasons. In the fourteenth day of the first month at even is the LORD’S Passover. In those ancient days, the Passover sacrifice was correctly viewed as the symbol of salvation, it was in every way a pointer to the Messiah and the way he was to die for the sins of the nation. 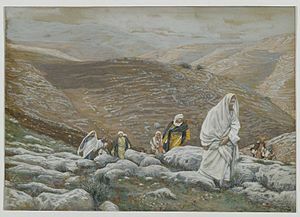 Provided with the date marked by God’s appointed time on the fourteenth day of the first month, right around the Passover celebration, the nation should have linked their deliverance with the death of the Passover lamb with that of their ancestors in the wilderness with the death of Jesus Christ who died on the cross. A close look at the death of the lamb and that of Jesus Christ, has revealed he was the fulfillment of the Passover. A look back at the Passover ritual and its symbolism should have strike a chord with the nation. But because of stubbornness, the nation crucify Christ, and rejecting him they are left with the rituals of the Passover, yet lost in the forest of sin. “Now all this was done, that it might be fulfilled which was spoken of the Lord by the prophet,” Matthew 1:22. No wonder Jesus before he died said, “It is finish” stage one of his mission was accomplished. He came as the scripture foretold as the Lamb of God to suffer for the sins of the world, redeeming the world from sin, and the power of the law which brings death. Christ’s death is the accomplishment of God’s will on earth, the fulfillment of his word. Psalm 1:4-6 told us that the ungodly will not stand in the judgment, nor will they be found in the assembly of the righteous, for the Lord knows the way of the righteous, but the ways of the ungodly shall perish. The fulfillment of this prophecy would not have been possible unless Christ came fulfilling his mission. Now that Christ has died according to the law, and according to the instructions of God revealed through the rituals of the Passover, we can clearly see that he came not to do away with the law, but to fulfill the law. Matthew 26:1-5 And it came to pass, when Jesus had finished all these sayings, he said unto his disciples, Ye know that after two days is the feast of the Passover, and the Son of man is betrayed to be crucified.